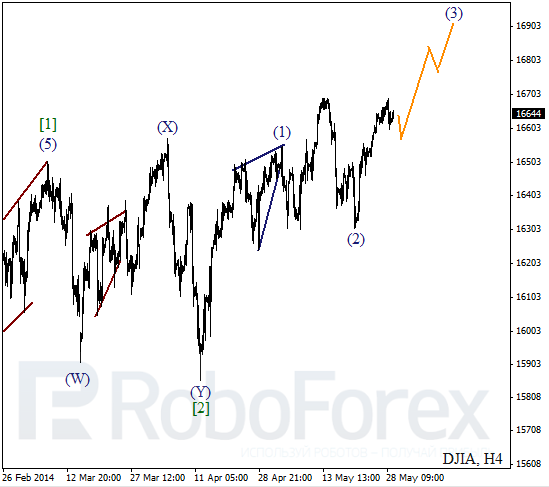 Index, after completing wave (2) in the form of flat pattern, started forming extension inside the third one. Considering that market is starting correction, I’ve decided to close my buy orders and got some profit. However, market may start growing up again during the next several days. More detailed wave structure is shown on H1 chart. After finishing wave 1, Index formed initial descending impulse and I decided to close my orders during local correction. Wave 2 is expected to be quite long, that’s why it doesn’t make any sense to hold orders and wait until price hits stop loss. I’m planning to start buying again after price finishes the second wave and starts forming initial ascending impulses inside the third one. 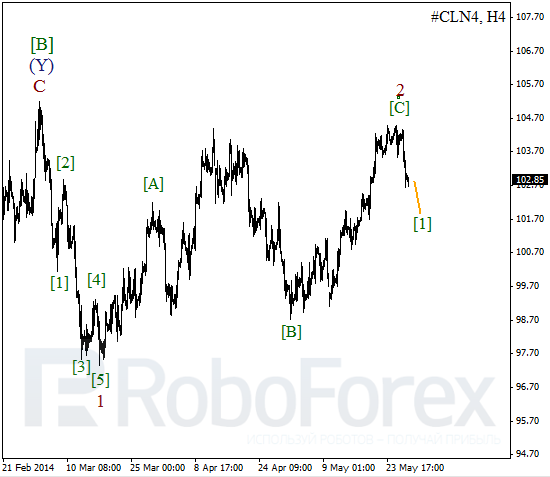 Probably, Oil completed zigzag pattern inside wave 2. 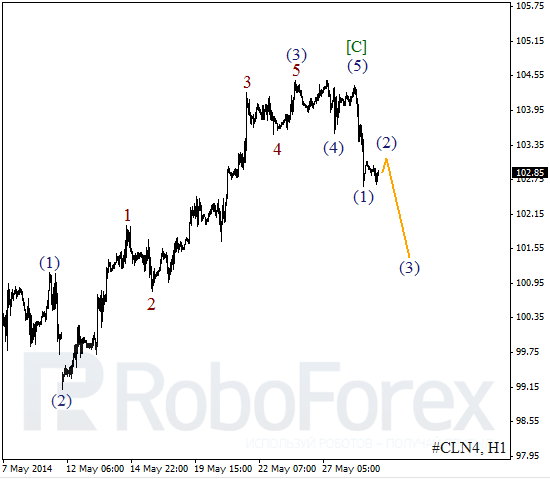 On minor wave level, price finished wave [C] and started forming new bearish wave. After completing local correction, instrument is expected to continue falling down. 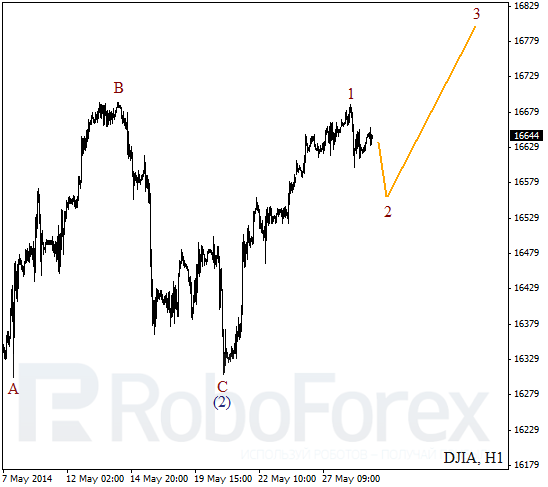 As we can see at the H1 chart, yesterday price finished initial impulse inside wave (1). I’m planning to open sell order when Oil finishes the second wave. Probably, market may start new descending movement inside the third wave during the day.